-A BETTER LORDOTIC CURVE OR ANTERIORLY TILTED PELVIS, WHERE IS THIS OPTIMAL POSITION ? *IN FACT WHAT THOSE MACHINE ARE MADE TO DO.....IF YOU HAVE A 50KG STACK..
*YOUR WINGING YOUR SCAPULA....PURELY BECAUSE YOU HAVE ROUND SHOULDERS..
*ANOTHER CONCEPT OF CONSERVATIVE THERAPY...IS TRAINING THE BACK MUSCLES..
LINE ATHLETE WOULDN'T BEABLE TO RUN A MARATHON AT THE SPEED IT DOES..
Bones and their joint capsules supply the primary structure of our bodies. Muscle-tendon units enable our bodies to move these bones at the joints. 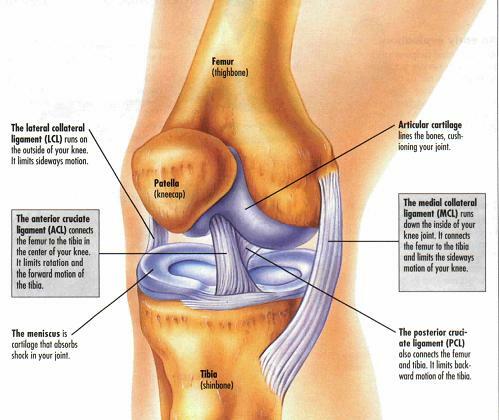 Ligaments supply the stability we need at the joints in order for our movements to be controlled and safe. All these parts of thebody must do their individual jobs interdependently to allow uspain-free movement. For ligaments, this means that their fibers must be flexible enough to allow normal movement and yet tight enough to protect the joints and the bones they connect. Ligaments limit movement and provide stability so that we do not fall over when we walk, run or suddenly move to the side. While it is healthy for us to have muscles that are loose and relaxed, it is not healthy for us to have ligaments that are loose. To appreciate the necessity for tight ligaments, imagine a door where the hinges are loose because the screws are not screwed in tightly. The loose hinges will allow the door to rock around until, eventually, the door or the frame, or both, become damaged or broken. In contrast, hinges that are securely attached to both door and frame allow the door to open and close smoothly, with no undue pressure on any part of the door’s structure. Ligaments function in a similar way. When loose, ligaments allow too much movement at a joint and can lead to injury not only in the ligaments themselves, but also in the relevant joint capsule, tendons and muscles. Appropriately tight ligaments hold the joint stable during movement, thereby limiting the possibility of injury. Ligaments can become loose in three ways: Through genetics, trauma or by the development of distended scar tissue. • Genetically,an individual may be born with ligaments that are too long for hisbody’s structure. We all remember kids we would call“double-jointed” because they could get into all sorts of positions that were unimaginable for the rest of us. These individuals did not actually have two joints instead of one; they simply had ligaments that were longer than their joints needed,allowing them to be much more flexible than the norm. 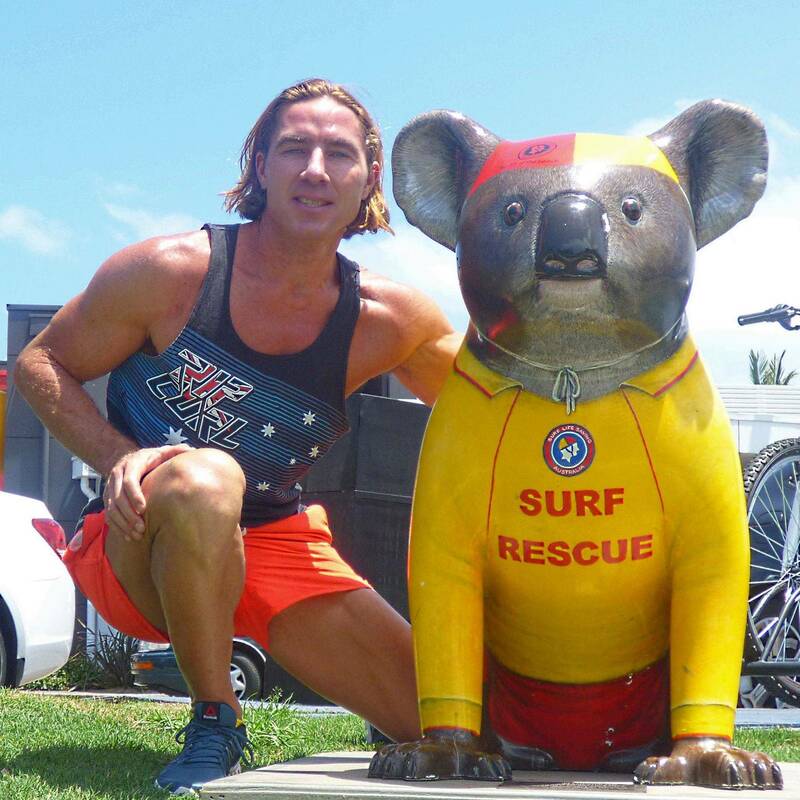 Unfortunately,these very flexible individuals are also very vulnerable to injury because they lack joint stability. • Secondly,trauma from a sudden blow or a severe accident can, in a moment,stretch a ligament permanently. • Thethird and very common method that leads to loose ligaments is thedevelopment of adhesive scar tissue. Whether the ligamentous scar tissue results from repeated injury or from surgery, it can stretchand distend over time. When it does, this distended scar tissue leaves the person vulnerable to further injury, often of a more serious nature. Knee pain secondary to weight lifting is often caused by an overuse injury involving the patello femoral joint, or the quadriceps or patellar tendons. However,tears to the menisci may also occur. Patello femoral pain syndrome may or may not include chondromalacia. Ligamentous problems are rare except when caused by trauma during Olympic weight lifting. One study found that former elite weight lifters had a 31% incidence of osteoarthritis of the knee as compared with former runners who had only a 14% increased incidence of osteoarthritis of the knee. The patello femoral joint was the most common location. One should keep in mind that Olympic lifts require ballistically dropping into a very deep squat, to the point where the hamstrings rest against the calves. Such extreme squatting positions result in very high meniscal compressive forces and patello femoral contact forces. Also,competitive lifters often lift maximal weights. Elastic knee wraps are frequently worn while performing squats and other heavy leg exercises with the intention of protecting the knee joint. Such wraps may increase the friction between the patella and the underlying cartilage, thus increasing the risk of knee injury. Do	not perform squats through a painful range of motion(often in the	midrange). Do	not perform lunges or squats with the knees caving inward (keep the	knees over the toes). Focus	on the last 10' to 15' of knee extension when performing knee	extension exercises. Take care not	to press the kneecaps into the bench when performing leg curls (or	any prone position of exercise). In other words, move toward the	foot of the bench so that the patellae are not compressed while the	knees are extended. Avoid	knee extension exercises (especially from 70' of flexion to full	extension). Substitute	seated knee extensions with closed chain exercises such as partial	squats and leg presses. Focus on	hamstring development (adds some dynamic support). The greatest number of knee injuries occur as the result of hacksquats. However, regular squats, leg presses, knee extensions,lunges, step-ups, and leg curls may all play a role in overuse injuries. In particular, bouncing at the bottom of a squat has been implicated as a cause of patellar tendon strain due to the high eccentric forces generated during this technique. One case report even documents a bilateral quadriceps tendon rupture that occurredwhile squatting. As a trade-off for mobility, the shoulder lacks some of the stability found in otherjoints. The shoulder is under considerable stress during many commonly performed weight training exercises and, as a result, is frequently injured. Shoulder pain is often taken for granted or ignored by many bodybuilders. For example, anteriorshoulder pain felt secondary to performing bench presses (ie,achieving a "burn") is frequently assumed to be a sore anterior deltoid muscle from a hard workout. It may, in fact,represent a sign of rotator cuff strain or impingement. Impingement syndrome and anterior instability are the most common types of shoulder conditions associated with weight training. It is important to recognize that these conditions often coexist. Rotator cuff strain/tendinitis/tear, proximal biceps tendinitis, and subacromial bursitis frequently result from subacromial impingement. However,primary tendinitis resulting from overload may also occur. Less common types of shoulder injuries include brachial plexus neuropathy,suprascapular nerve impingement, posterior glenohumeral instability(due to heavy bench presses), acromio-clavicular joint sprains (AC),proximal biceps tendon tears, pectoralis major strains or tears, andosteolysis of the distal clavicle. Impingementsyndrome refers to impingement of the rotator cuff tendons,especially the supraspinatus tendon, under the subacromial arch. The biceps tendon or the subacromial bursa may also be impinged under the subacromial arch. The position that appears to be most damaging is abduction with internal rotation. It is not clear whether rotatorcuff muscle/ tendon overload precedes impingement or is caused by it. A major factor in shoulder impingement injuries in weight lifters is the muscle imbalance syndrome , highlighted by overly tightshoulder internal rotators and weak shoulder external rotators. A substantial portion of the typical trainingprogram is dedicated to training the pectorals and the lats. Both tend to produce internal rotation of the shoulders. The external shoulder rotators (the infraspinatus and the teres minor) are often neglected. There is considerable stress imposed on the rotator cuff muscles during the performance of many exercises, such as the bench press. Too many sets of exercises for the same body part with excessive weight can result in fatigue and overload injury to the rotator cuff. Therefore, weightlifters should be encouraged to perform fewer sets and no more than12 sets per body part, including warm-ups. A common exercise is the lateral raise with the shoulder in internal rotation.The lifter is often instructed to point the thumb down as though pouring water from a pitcher in an effort to better isolate the side deltoid. It may be true, but there is a risk of accelerating or aggravating an impingement syndrome. Lateral raises should be performed face down on an incline benchpositioned at about 75 degrees up from the ground. This position will isolate the side delts without creating impingement. Another common mistake is raising the arms above 90 degrees while performing sideraises. Unless the thumb is pointing up, this position may increase the risk of impinging the rotator cuff tendons under the subacromial arch. Shoulder protraction is associated with narrowing of thesubacromial space. Allowing the shoulders to become protracted forward beyond the neutral position during the performance of exercises such as bench presses may increase the strain to this area. Instability may be due to a single-event trauma where the capsule and glenoid labrum are torn or may be a traumatic representing a tendency toward a loosejoint capsule. 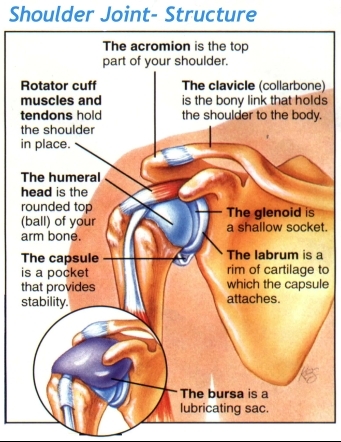 When either inherently loose or torn loose, the capsule may be unable to support the shoulder in the extremes of abduction and external rotation. Therefore, exercises that place the shoulder in this position should be modified or avoided such as the behind-the-neck press, the behind-the-neck pulldown, and the pecdeck . It may also occur from repeatedly hyperextending the shoulder during the performance of bench presses,flyes, and the pec deck by lowering the bar or dumbbells to the point where the elbows are behind the back. Weight lifters not only place their shoulders in an abducted/externally rotated or hyperextended position, but also do it with considerable weight held in their hands. 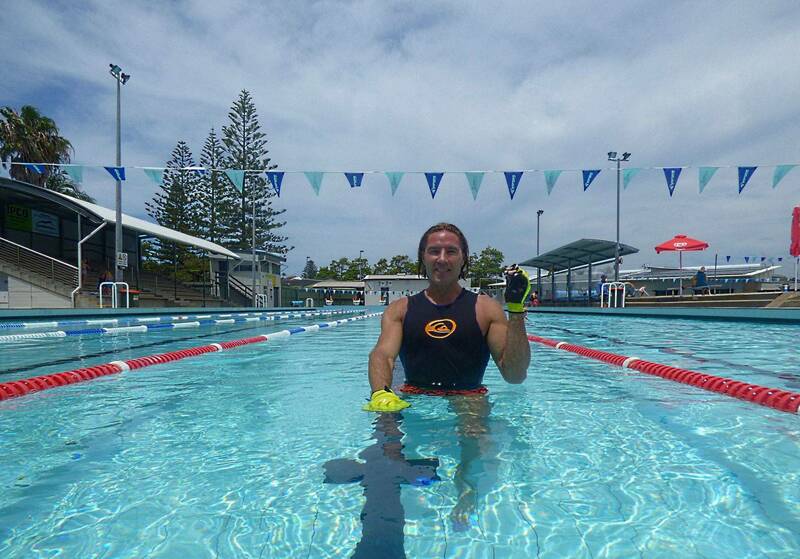 The general principle to use is to avoid positions in which the elbows extend behind the coronal plane of the body. It is important to remind that overhead positions are less stable and therefore more risky. While instability is often caused by gradual repetitive capsular stretching injury, Olympiclifters tend to suffer instability resulting from a single-eventtraumatic injury. They often lose control of a weight while holdingthe weight in an overhead position. It should be noted that the diagnosis of anterior instability may be overlooked due to a misleading response to testing.pain is often experienced in the posterior shoulder when the arm is placed in an abducted/externally rotated position. It is thought that this posterior pain arises from traction or compression of the posterior structures as the shoulder subluxates forward. Also, anterior instability may be misdiagnosed as a rotator cuff strain. The load and shift test is a form of instability testing that involves passively translating the humeral head while stabilizing the glenoid. This test may be performed in various positions, including seated with arm by the side, seated with the arm in the abducted andexternally rotated position, and supine with the arm abducted and externally rotated. Excessive forward excursion of the humerus associated with either pain, apprehension, or clicking may all beconsidered positive signs. The relocation test should reduce the positive findings. This test involves restabilizing the humerus by pushing the head of the humerus from anterior to posterior whileplacing the arm in the "apprehension" position of abduction/external rotation. The relocation test is performed supine. Care should be taken to support the arm to avoid protective muscle spasm. There have been a number of reports in the literature of suprascapular nerve injury either via stretch or compression. Abduction of the arm against resistance has been implicated as the mechanism of injury. The lateral raise and the shoulder press are two exercises that involve abduction against resistance. A number of reports document the occurrence of tears of the pectoralismajor muscle or tendon, usually from bench pressing. The tendon may either avulse from the bone, tear at the musculotendinous junction,or tear in the muscle itself, usually near the musculo tendinous junction. Most of these injuries occur while the arms are extended behind the chest. To prevent such injuries the lifter should avoid lowering the bar to the point at which the shoulder is hyperextended.Regular stretching may be helpful. An entity known as atraumatico-steolysis of the distal clavicle has been reported in a number of studies as being related to weighttraining. This condition, referred to as weight lifter's shoulder, is marked by pain at the acromioclavicular joint while performing the dip, bench press, clean-and-jerk, and overhead presses. Radiographsshow osteoporosis and loss of subchondral bony detail at the dista lclavicle. In addition, cystic changes may also be present. Atraumatic osteolysis is believed to result from repetitive loading of the acromioclavicular joint resulting in neurovascular compromise to the distal clavicle. Management is difficult given that most patients are serious lifters. Either a dramatic reduction in weight,elimination of the offending maneuver, or substitution of exercises may be suggested. Alternatives to the bench press include a narrowgrip bench, cable crossovers, and the incline or decline press. Ifunsuccessful, elimination of heavy lifting for 6 months isrecommended. There is some evidence that those treated surgically with amputation of the distal I to 2 cm of the clavicle are able to return to some lifting. However, many athletes are not able to returnto a pre-injury level of lifting. 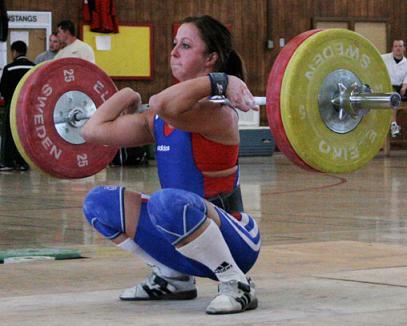 While not as common as back injuries, neck injuries occur fairly frequently in weightlifters. Cervical spine problems include mechanical sprains and strains, disc injuries, and brachial plexus injuries. Soft tissue injuries may result from protruding the head forward or from unnecessarily tensing the neck while weight training. Some problems result from a muscle imbalance syndrome similar to the "uppercrossed syndrome" . This problem occurs because of imbalance in training programs that involve an in ordinate amount of exercise for the pectorals, the front delts, the lats, and the biceps and very little training of antagonist muscle groups.The result can be overly developed and tight pectoralis major and minor,latissimus dorsi, front deltoids, trapezium, biceps, and stemocleidomastoid muscles, especially if proper attention has not been given to maintaining flexibility in these muscle groups. It is often accompanied by relative weakness of the middle and lower trapezium, rhomboids, the upper thoracic extensors, the deep neckflexors, the rear delts, and the external shoulder rotators (the infraspinatus and the teres minor) It results in the rounded shoulder, forward head posture frequently seen in bodybuilders. Exercises in which the head is allowed to nod or protrude forward may contribute to cervical spine injury by either promoting the postural defect noted previously, or by predisposing the athlete to cervical disc problems.The tendency to jut the head forward in exercises such as shrugs, behind the neck presses, behind the neckpulldowns, lateral shoulder raises , triceps extensions,curls, incline leg presses, and abdominal crunches promotes the development of the rounded shoulder, forward head posture. This posture is associated with abnormal mechanical function of thecervical spine. It is characterized by adaptive shortening of the suboccipital muscles, the stemocleidomastoid and the anterior scalenemuscles, and excessive tension and weakening of the long cervicalextensor muscles, the levator scapulae and the scapular retractor muscles. Trigger points and/or muscle strain may result in any of these muscles. Either upper cervical or cervico-thoracic joint dysfunction may result. Not only do cervical pain syndromes occur,but also temporomandibular joint dysfunction and headache. Protraction(protrusion) of the head during exercises in which the neck musclesare under load has also been linked with an increased risk of cervical disc derangement (herniation). The forward head posture results in anterior shearing and increased compression of the lower cervical discs as the head slides forward and the upper cervical spine becomes hyperextended. Forceful contraction of the trapezium,the sternocleidomastoid, and the other cervical muscles will increase the load on the cervical discs and the facets. This finding correlates with an epidemiologic study that found that weighttraining, particularly with free weights, was associated with an increased risk of cervical disc herniation. Cailliet claims that this forward head posture also leads to accelerated degenerative changes in the cervical spine. He notes that each inch the head protrudes forward of the trunk results in the equivalent load of an extra head that the neck must support. It should be noted that during the performance of some exercises, untrained lifters commonly not only protract the head but also tense and flex the neckforward during the performance of exercises. This action occurs most frequently with curls, lateral raises, and leg presses. This habit may be even more damaging than simply protruding the head. Beginning with the novice athlete, bench presses-both flat and incline-arecommonly incorporated into weight training and may be involved in the cause of cervical spine injury. It is not clear whether the injury occurs from protrusion of the head as the bar is lowered or from forcibly hyperextending the neck (ie, driving the head backward intothe bench) as the weight is pushed up. Neck strengthening is a controversial topic. Little research has investigated the role of neck strengthening in injury prevention. Mobility of the cervical spine is important and may be emphasized to the exclusion of strengthening. Some experts recommend that rehabilitative exercises be directed toward strengthening the scapular muscles with the cervical spine held in the neutral position. 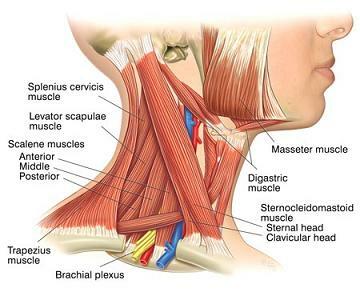 However,others have achieved good results with direct neck strengthening exercises, especially those directed at the cervical extensors. In both youths and adults the most common weight training injuries involve the lowerback. The mechanisms of injury include hyper flexion, hyper extension,torsion, and overdevelopment and excessive tightening of the iliopsoas muscles. The most common back problems are mechanical sprains and strains; however, disc injury or spondylolisthesis may also occur. Spondylolisthesis may be due to the stress imposed at the neural arch while performing exercises that involve repetitive lumbarspine flexion and extension under load. It is particularly true of dead-lifts. The greatest number of weight training-related back injuries result from exercises in which the trainee is in the flexed posture, such as rows and dead-lifts. A bent barbell row is often performed standing with heavyweight held at arm's length while bent at the waist and the legs held straight. This position creates perhaps the greatest amount of contractile tension on the lumbar spine musculature and the greatest lumbar disc pressure. 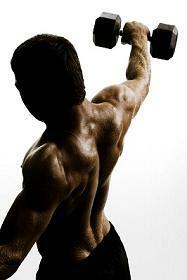 A frequent error is to allow the back to round and then to jerk the weight up using the hip muscles to generate power. Lumbar flexion while lifting results in the load being shifted from the back muscles to the posterior ligaments, the thoracolumbar fascia, and the lumbar discs. The lower back muscle stop contracting when the spine is sufficiently flexed, a phenomen onknown as the flexion relaxation response of the erector spinae.It may result in injury to ligaments or discs. The seated cable row exercise may also result in a hyperflexion injury to the lumbarspine, a problem often encountered in this author's practice. The injury usually results from leaning forward at the starting point of each rep, allowing the spine to flex, in an effort to get a goodstretch. Extremely heavyweights are sometimes used in weightlifting exercises. As much as 1,000 lb can be used in the squat and dead-lift. While steadily applied compressive forces alone rarely injure the disc, rupture ofthe vertebral end plate or fatigue microfractures of the trabeculaeof the vertebral bodies may result. Research reveals that retired heavyweight lifters exhibit significantly greater reduction of discheight on X-ray compared with controls. Hyperextension injury to the spine may result from arching backward while performing unsupported overhead presses, moving into a hyperextended position while performing the back extension exercise ballistically,or while performing prone leg curls. During the leg curl, there is a strong tendency for the spine to be pulled into hyperextension as the psoas comes into play to assist the hamstrings. Hyperextension can cause abnormal loading of the facet joints and the capsules,resulting in an inflammatory response. It can also increase the load on a pre existing spondylolisthesis, resulting in greater strain to the supporting tissues. The solution is to contract the abdominals while pulling the hips against the bench in order to maintain a neutral lumbar positive. In addition, patients should be advised to avoid using too heavy a weight or overstraining at the end of a set. Injury to either the facets or the discs may occur from rotational exercises such as twists or from the rotary torso machine. The lumbar spine is particularly vulnerable to torsional forces. Due to the sagittal orientation of the facets, only a limited amount of rotation canoccur in the lumbar spine. Additional rotation may result in injuryto the facets or shearing of the discs. Research suggests a link between twisting while lifting and an increased risk of disc herniation. Twisting exercises are often performed in an attempt to isolate the transverse abdominus muscle and create a thinner waistline. However, the transverse abdominus does not contract while rotating the torso, and twisting exercises will not trim the waist. Despite its horizontal fiber orientation, the transverse abdominus functions mainly to compress the abdomen during functions such as forced expiration and defecation. Many commonly performed abdominal exercises may contribute to lower back injury through overdevelopment and tightening of the hip flexor, iliopsoas muscles. When the iliopsoas Muscle contracts, it exerts both increased compressive and shear forces on the lumbar spine. Many abdominal exercises are actually exercises in which the hip flexor muscles rather than the abdominals perform much or all of the work. These exercises include full sit-ups, straight leg raises, high chairand hanging leg raises, crunches with the feet hooked under a sofa oran apparatus in the gym, V-ups, Roman Chair rocking crunches, and most abdominal machines. Hooking the feet under a stationary objectfor support increases the tendency for the hip flexors to be recruited during sit-ups.